Today, a very functional DIY Smart Home can be put together by integrating a collection of inexpensive DIY Home Automation equipment, audio and video system and other gateways each providing certain functions to the home owner that can often work together collaboratively. Great for non-destructive or partial home renovations, units, townhouses and even tech-savvy renters, below are a few ideas to get you started. Google Home, Amazon Echo and Apple Siri provide smart internet voice assistance abilities that can be harnessed to directly control the smart devices in your home. Whether your automation system is a mix of different consumer smart home items or a professionally installed fully integrated Smart Home system from one of the premium system providers, all can be front-ended by voice control based on these low cost devices. Even if your home has very little in current automation system equipment, just the ability to choose your music via voice control, for example 'Alexa, play Sia's latest album from Spotify' or 'Hey Siri, play my dinner playlist' is amazingly convenient and in many ways superior to searching on your iPhone, Android Smartphone, iPad or Android tablet. Another great feature of these devices is the link to other applications allowing a multitude of other services to be added in. The combination of feature rich services and the potential to control your lights blinds and other smart home equipment makes these products indispensible in the modern smart home. The Wiser 2 from Clipsal is one of the most innovative home automation system controllers in the market today. 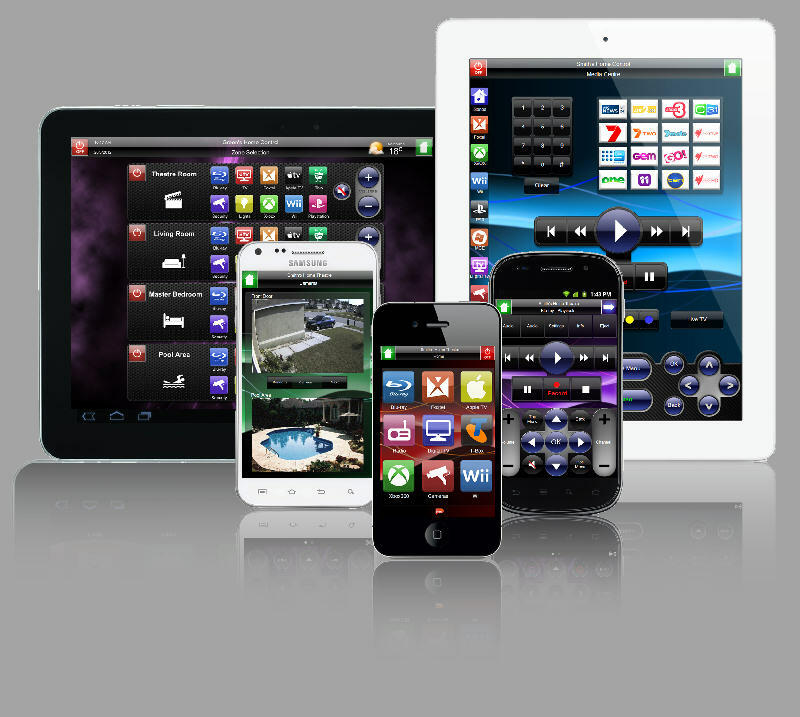 Its intuitive user interface is both locally and remotely accessible from a multitude of controlling devices including Apple iPhones & iPads, Android tablets, Android Phones, Notebook and other PCs, and almost any device that runs a web browser. This flexibility allows the home owner to choose their own preferred device and have confidence it will inter-operate and control their C-Bus automation system conveniently whilst both at home or away from home. Whilst not strictly a 'Do It Yourself' product, it is not difficult to learn how to make your own moves adds and changes after initial setup. It is a great base platform to use in your DIY setup, as it gives you so much easy to access functionality in one box. Installation requires some knowledge of IP communications set up and C-Bus network concepts, but further customisation and support after installation is easily within the capabilities of the more technically minded person. We suggest that for the initial configuration and customisation of this product you use a Nous House c-Bus expert installer, and then you should be able to master further customisation yourself. WiFi Tablets like the iPad and the iPhone and Android SmartPhones are a minimalist's dream in form and function and have fast replaced both desktop and laptop PCs as the preferred medium for browsing the web. In a smart home, these devices have the added potential of controlling the home lighting, dimmers, blinds & awnings, audiovisuals, heating and cooling systems and other appliances. 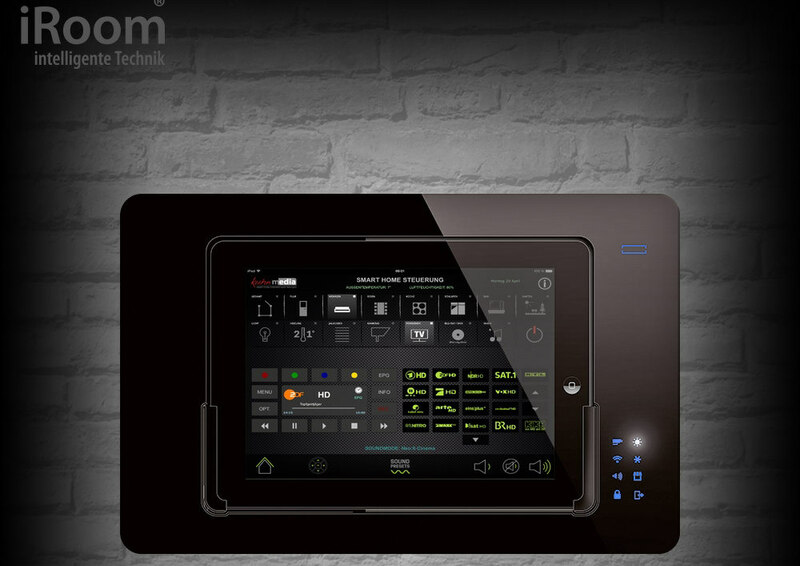 They can even replace costly home automation touch screens when used in wall mounts or table mounts. 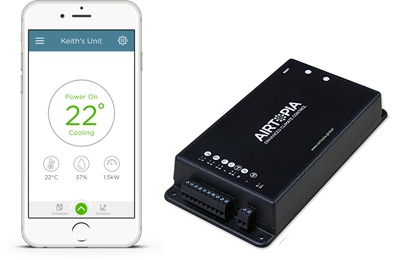 Airtopia is an air conditioning controller specifically designed to quickly and easily retrofit to both new and existing split system air conditioners, providing control from your iPhone or Android Smartphone, iPad or Android Tablet or PC Browser. Integrating seamlessly with most IR (infra-red) controlled split systems and optionally integrating with your home automation system if you desire to, it allows you to save power, energy and money with simple to enable time schedules, temperature and power usage monitoring. Compatible with most types, brands and models, from AC reverse cycle systems to the newest inverter units. A great stand-alone DIY Home Automation product for home owner, Townhouse and Unit dwellers that you can install yourself, Airtopia controllers enhance your control of split system air conditioners so that you can enjoy optimum air comfort while enjoying significant cost savings. Nothing is quite as cool as being able to control your whole environment from one remote control. Lighting, sound, video, appliances, even air conditioning. All possible, even if you are rentingate your house to gain the lifestyle benefits you desire, and still remove it to take to your new house should you move. The wireless series is also a great solution for existing homes where the owner does not want to go to the mess and fuss involved in extensive house re-wiring renovations. Due to its easy modular nature, C-Bus wireless works well for DIYers as the installation of most components only requires fairly basic technical knowledge, or just a little help from a Nous House installer. What this means for the home owner is the ability to choose from a range of different products meeting their lifestyle choices, but providing confidence that it will inter-operate to a good degree. Whilst it is sometimes not as simple or functional as it could be between different levels of DLNA support, in most cases it provides good functionality at a reasonable cost. And unlike many other distributed audio/video systems it doesn't require special cables other than a data cable run to serviced rooms. For renters and those wanting to avoid costly cabling work, many products even communicate via wireless so all you need is a local power point.